Faith has sustained generation after generation of Lunenburgers. 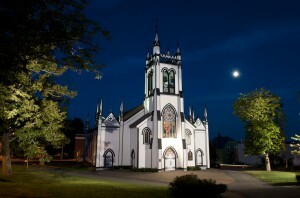 From the time when services were first held in the open-air by itinerant missionaries to the resurrection of the beloved Anglican church from the ashes of a devasting fire in 2001, Lunenburg has long given priority to her sanctuaries for worship and gathering in faith. The stories of Lunenburg’s church buildings and communities of faith are remarkable. The Lutheran and Presbyterian congregations have the longest histories in the country for their denominations. St. John’s church is the second oldest Anglican church in British North America. St. John’s is Canada’s second oldest Protestant church and was undeniably one of the country’s most outstanding examples of Carpenter Gothic architecture, wherein features traditionally rendered in stone are interpreted in wood. Designations as a Provincial Heritage Property (1982) and a National Historic Site (1994) are further testament to its unique value. 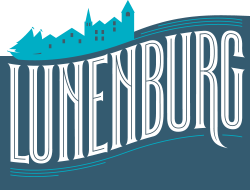 It is an important part of the urban fabric of Old Town Lunenburg. The evolution of the architecture of the Church building is intricately woven into the rich tapestry of the Town of Lunenburg. From the first days of the simple Meeting House structure in 1754, a section of which remains, to the addition of side aisles in 1892, the architecture of this church spoke of the evolution of an immigrant town – first struggling simply to establish a presence in the New World, then thanking God for blessings of safety and prosperity through the expansion of an increasingly majestic building. As the social history of the Town evolved, St. John’s remained at the center of daily life and of major historical events. The building is awash with centuries of human experience – experience that has shaped and been shaped by the history of its community, its province, its country. 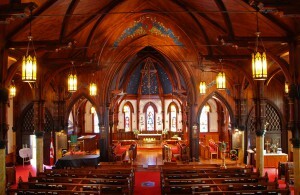 Like other National Historic Sites, St. John’s Church is a testament to the human spirit that forged Canadian society. Through painstaking preservation and restoration of this magnificent landmark, the march of centuries that has been the life of this Church, can continue. The church building is much beloved by its congregation and community because of its great character and its longstanding focal place. Its history is as old as the community itself. A devastating fire on November 1, 2001 began a new chapter in St. John’s long history. A chapter that is unfolding into a wonderful story of the dedication of a Town and the love of a congregation for their church.